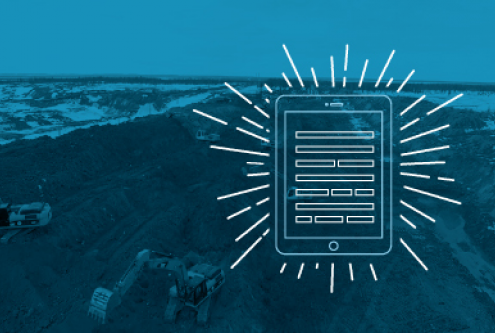 Industries with remote worksites are seeing a growing need for timely, accurate data capture. As more transition to using digital methods, companies are experiencing the benefits of faster reporting and reduced costs of field-based data collection. The following considerations outline key components of data reporting processes to ensure success. Redundancy – Field reports may ask multiple questions that seek the same answer in different ways. While some might argue that capturing more information is a good thing, redundant questions can skew data and cause confusion. To combat confusing questions, encourage jobsite managers to call out any red flags during the data collection process. Evaluate each question and the information gained from capturing that answer. If questions are closely related, combine where necessary. Short, clear forms increase efficiency among employees and lower the margin for human error in results. Manual adjustments – Your reporting process needs refinement if management must continually make manual adjustments to reports. While manual adjustments may arise occasionally, these types of corrections should not be frequent. To improve your processes, apply conditional formatting to guide workers throughout the form completion process. Conditional formatting reduces the likelihood of employees inputting inaccurate information, reducing the need for manual corrections. Right reports in the right hands – Data reporting can add tremendous value and visibility, especially for managing large projects. But pulling reports as a practice isn’t where the value lies. The information is only as valuable as its relevance and application to decision making. When developing your reporting process, establish what information different managers need and the cadence at which they need it. Project managers may need daily status reports, while other management may only require weekly updates. Once these needs are addressed, create a set reporting schedule to distribute the respective information. Establishing this workflow upfront allows management to anticipate periods where they can review reporting and make recommendations. Project summary – In an effort to present all information possible, managers commonly make the mistake of providing reports that are too long to decision makers, drowning the most critical points in pages of unneeded information. Project summaries should be high-level snapshots of the project as a whole, clearly calling out points that need attention. Keeping these reports to one page mitigates unnecessary information from clouding what a decision maker needs to see. Cost summary – Similar to a project summary, cost summaries should address the most important information clearly and effectively, such as labor hours or materials. Reporting jobsite expenses can be tricky if budgets are managed through a separate solution. Be aware that discrepancies can arise when redistributing information across multiple platforms. Risk and safety – These reports can take on various forms based on the size and complexity of your project. Regardless, safety reports should be used during daily briefings to ensure workers are aware of risks on the jobsite. Keep daily reporting focused on meeting jobsite requirements and safety procedures. For upper management, consider creating risk dashboards that provide a high-level overview of current worksite conditions and flag any ongoing issues that need resolution from decision makers. OSHA and EPA are two common regulatory agencies industries must satisfy through proper reporting. Below are some recommendations on how to utilize data capture and reporting to meet standards for each of these agencies. OSHA – Be thorough in equipment testing and internal jobsite inspections. Use images to capture any potential hazards and document respective solutions through your data reporting system. Worksites may always present some level of risk to workers’ health and safety, so arm your team with detailed reports on how to manage these risks before government-mandated inspections arise. EPA – Through EPA’s Next Generation Compliance strategy, the agency is shifting toward electronic reporting to ensure more accurate inspection metrics. Transparency is essential during an EPA compliance inspection—especially regarding hazardous waste. Be sure to include dates, times, and pictures in all reporting. Along with OSHA and EPA, identify other agencies who may enforce regulations in your industry. Be proactive in evaluating and updating jobsite forms to comply with all regulations and maintain safe work environments. Following these best practices ensures your reports are accurate, informative, and compliant, translating to more actionable insights for management. Investing in a solution that addresses these needs can be a competitive advantage in the present and smart preparation for the future.